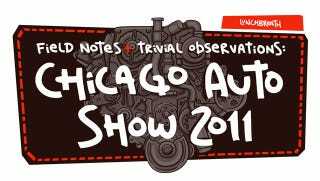 We added hilarious illustrator and Jalopnik superfriend Lunchbreath to our press pass list for the 2011 Chicago Auto Show and this is what he came up with. Click through the images to see an auto show through his eyes. - Ed.